Designed by Jones Knowles Ritchie, United Kingdom. “We landed on the theme of Hidden London” said Jovan Buac, Account Director, jkr. “This felt rich in creativity and we explored this idea through a number of different avenues. 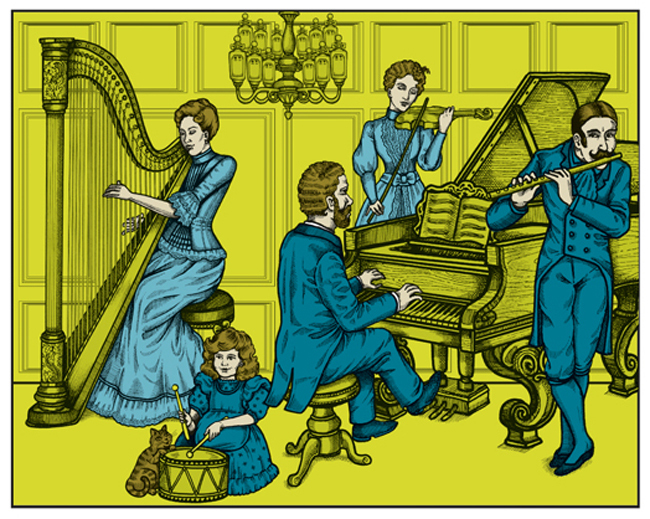 The idea of life behind closed doors in Victorian London allowed us to express the Penhaligon’s wit and eccentricity in an engaging way that came from the brand” added Buac. The range depicts a Victorian household, with three box sizes that stack to create a six storey house. “The design delivers the madness one would expect from a bonkers British household, with all the hustle and bustle of life in the decadent surroundings of a Victorian home” said Sarah Rotheram, CEO, Penhaligon’s. 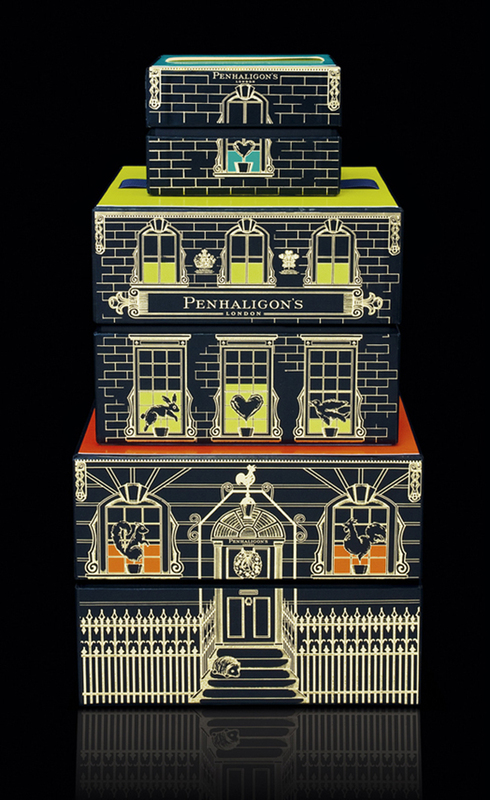 As always, the Penhaligon’s Christmas packaging should have a festive appeal but without direct references to Christmas clichés. 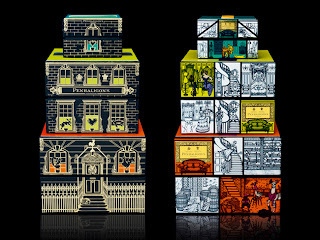 “The boxes are a visual treat and take inspiration from Victorian dolls’ houses, as well as Victorian architecture and dress” said Matt Gilpin, Design Director, jkr. 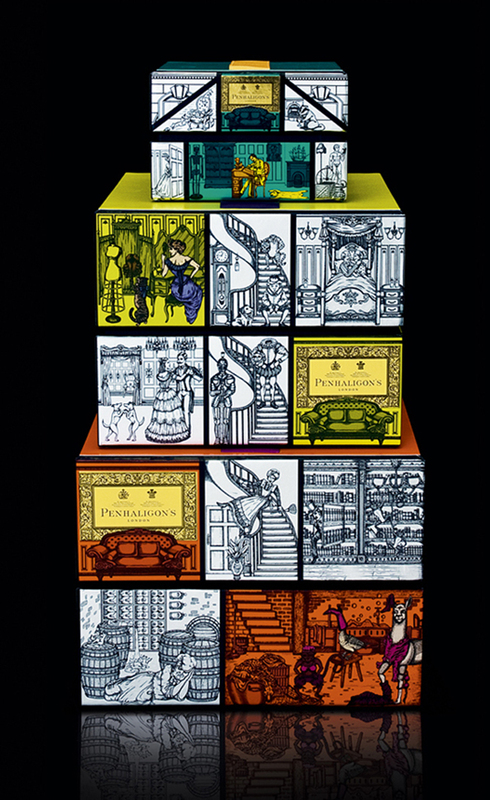 “The front of the house is based on the Penhaligon’s shop front in Covent Garden, London, giving the design more depth and meaning. 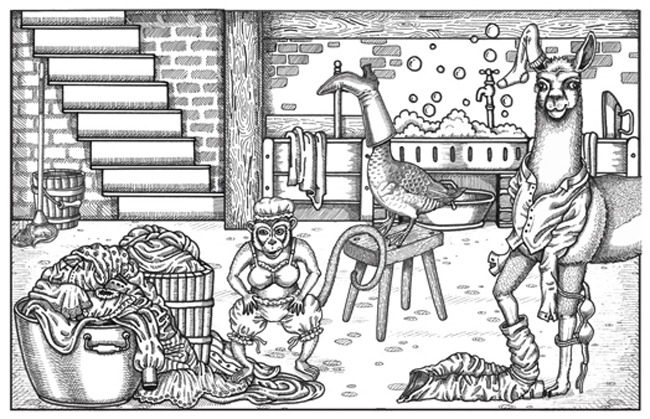 The illustrative style hides a variety of different scenes which leave you constantly searching for more hidden goings on”. The brief also included the structural design, meaning the aesthetic needed to balance with the safe transportation of breakable goods. The historical hat box with carry handle idea was continued this year, with grosgrain two-tone ribbons to match the graphics. 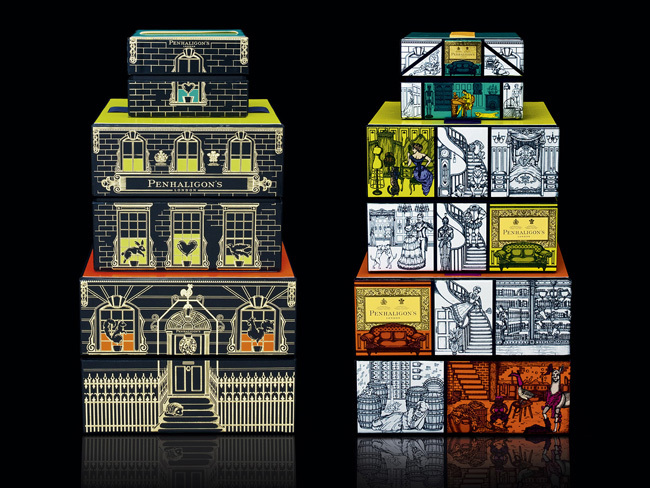 “The boxes needed to look clean and crisp to counteract the detailed illustrations. We used a metallised paper stock with a satin finish, which gave a shimmer to the boxes. The use of punchy colours and heavy gold foiling on the front created a box with real gift appeal” said Judith Allan, Production Director, jkr.